1. Floss. Seriously. There is literally no more important advice I could make you take. You know those rare times you slide the waxy string between your teeth and are amazed at what comes out? Gross, right? 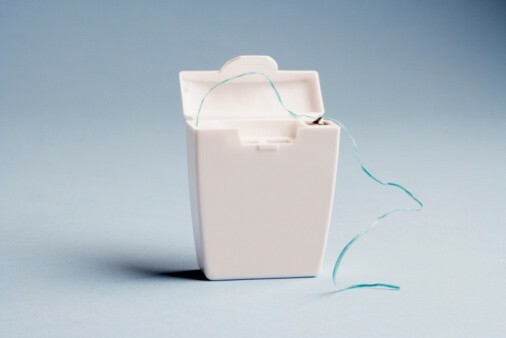 Now think of all the nights you go to bed without flossing and those food bits are eating away at your enamel and you'll get cavities, abscesses, dissolving bones, brain infections. Not exaggerating. For those who aren't fortunately insured, dental care is expensive and hard to get. The best thing you can do to preempt the destruction is make proper hygiene a ritual: brush, floss and wash out that mouth. 3. Make plans with friends. Your social network is critical. No, not Facebook — I mean the people you could call at 3 a.m. Or, even more importantly, who could call you. Relationships are everything, people! (Again, science says.) Besides genetics, few things matter as much as the people who matter to you. You might think that's because having the support of others means you're able to talk about your troubles (and also someone will notice if you don't show up where you're supposed to and call the search team) — and you'd be right. Also your friends might encourage you to quit bad habits, like smoking or texting while driving. But the Longevity Project, an eight-decade study, shows that an even more consistent predictor of growing older happily is being there to help other people. 4. Be kind in general. Science says doing nice unto others boosts your own happiness levels, decreases anxiety and delivers a shot of oxytocin, which decreases blood pressure, thereby protecting your heart. Aww. 5. Build your life around being the healthiest version of yourself. Roll out of bed and into your running shoes. Plant a garden. Join a CSA farm program so you always have fresh vegetables around. Keep only excellent foods in your kitchen. Sign up for dance class or rowing or a recreational soccer team or show up Sundays for summertime pickup baseball games — find something physical you like with someone you like and schedule recurring dates on your calendar. Bonus: Be open-minded, whether considering acupuncture or acknowledging the benefits of modern medicine. There's a world of options out there. Do your research, find what works for you and shun nothing out-of-hand.